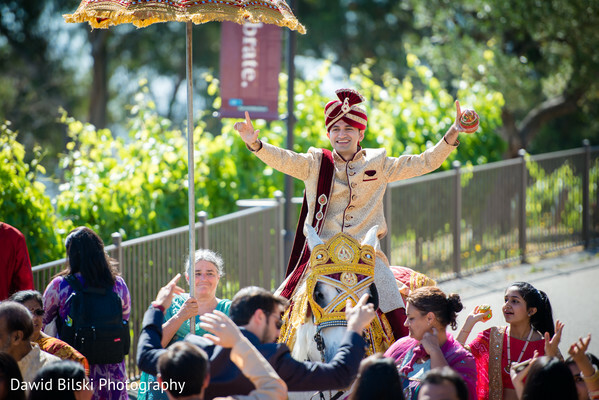 We’re breathless and inspired by Anjana and Vishal’s outdoor vineyard wedding bash at Mountain Winery. 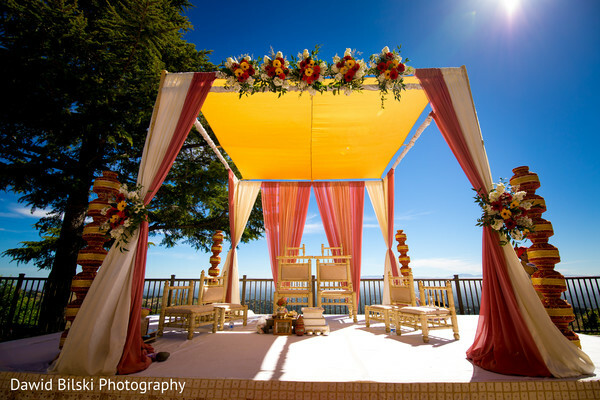 The stunning affair featured an open air mandap draped in jewel hues that glowed against the aquamarine sky. 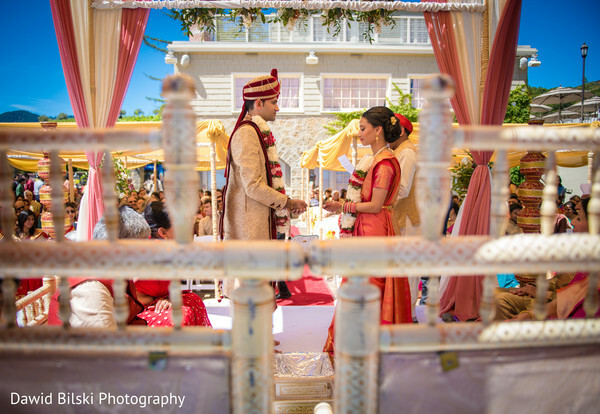 The bride and groom took advantage of the blissful weather and exchanged their vows under a cornucopia of fragrant flowers and gauzy fabrics that served as the most picturesque backdrop. 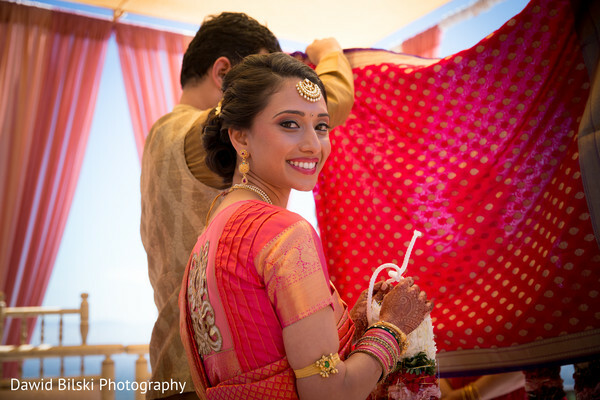 Anjana floated down the aisle in a chic coral sari and glowing hair and makeup created by the talented brushes of Artistry By Christal. 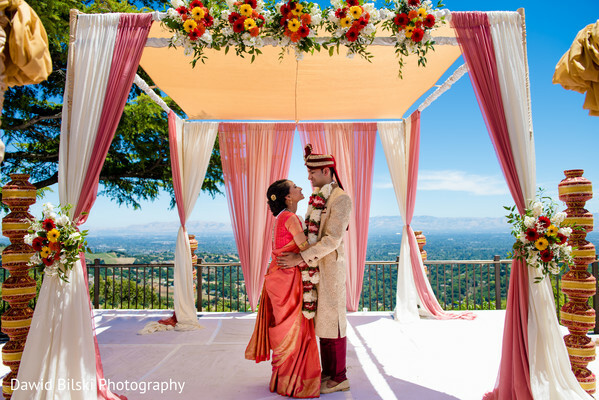 We can’t think of a more serene location to get married than a gorgeous NorCal vineyard, so all you brides-to-be should find plenty of charming wedding inspo in these vibrant photos. 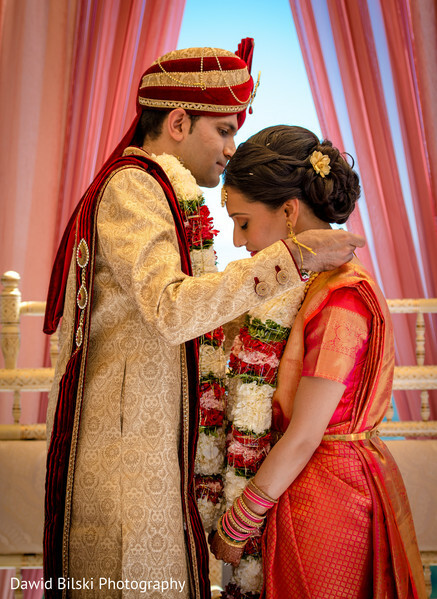 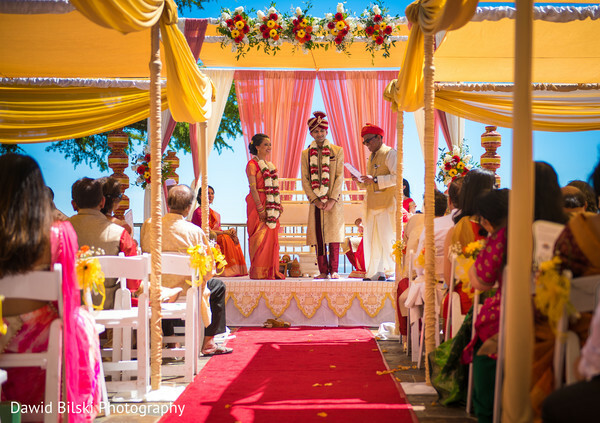 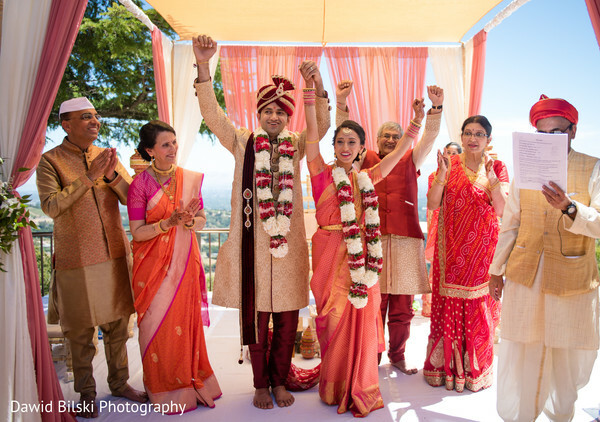 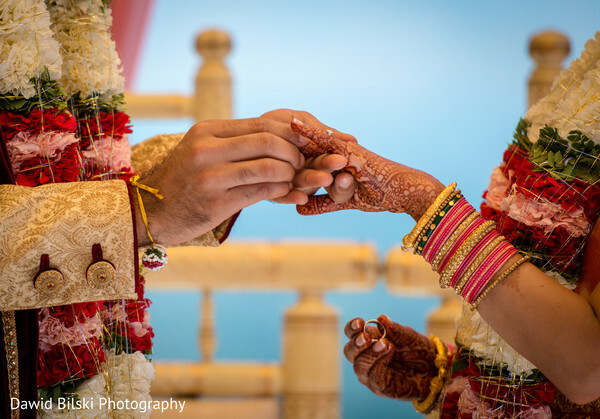 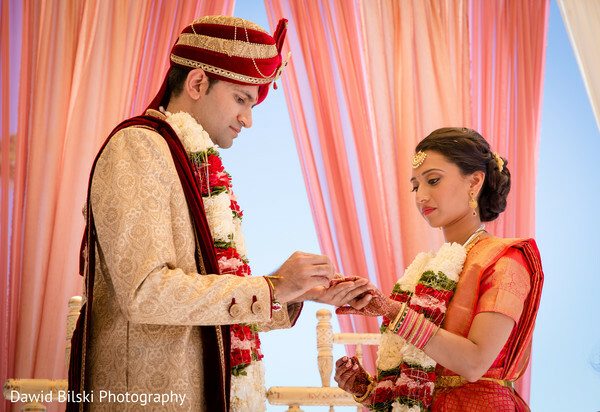 We’re cooing with joy at the romantic ceremony and the elation on Anjana and Vishal’s faces as they sealed the deal to become Mr. and Mrs. Join us in reliving all the gorgeous ceremony moments in the full gallery by Dawid Bilski Photography. 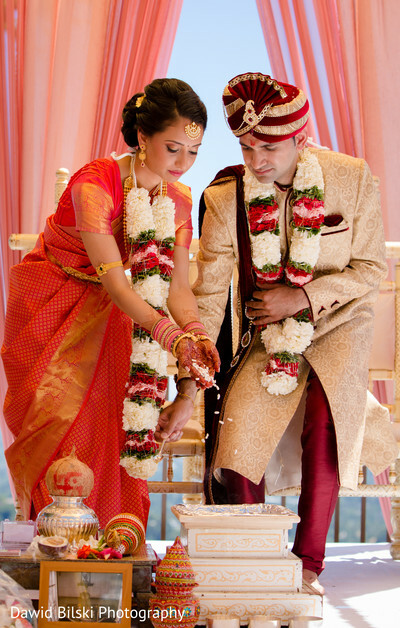 All the reception extravaganza action coming right up!